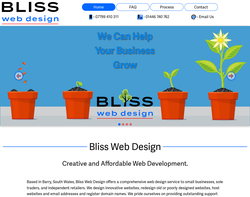 Website designer and web application developer based in Cardiff, South Wales. 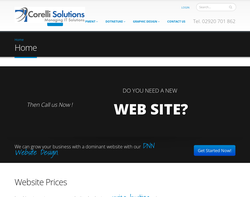 Custom built and Search Engine Optimised brochure and e-commerce sites are our speciality. 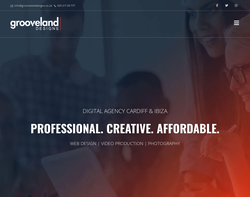 Graphic design agency in Cardiff, South Wales. Specialists in branding and website design. Use us for your next logo, brochure, stationery, website, banner, or graphic design work of any type. Fusion Workshop is experienced in delivering value with well structured, robust and highly useable business enabled web sites and applications. This capability is strengthened by our status as an Immediacy Partner, enabling us to deliver CMS solutions on any scale. MB Web Design provides a comprehensive selection of Internet design and marketing services to help clients� websites prosper. 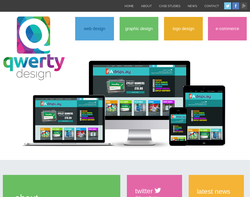 PS Web Design is a print and web design company based in Barry, South Wales. The company has contributed creatively and technically to a range of award-winning website projects. 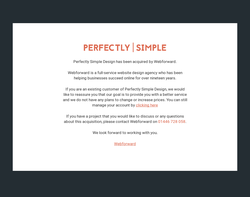 Our web design approach is 'Perfectly simple' - no jargon, no techy talk. 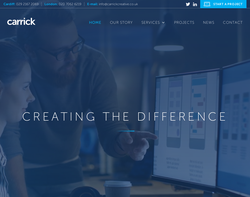 From simple websites to more complicated ones, our programmers develop bespoke Content Managed Solutions with user-friendly interfaces allowing you to update your website with no complication. As well as building traditional websites we also produce Flash work for games, banners and animations. In addition, our graphic designers produce work for print, illustration and corporate identity. They love designing logos. We develop long-lasting relationships with our clients. Our services exceed the completion and delivery of a finished product. Depending on the needs of your business, they may include speedy technical assistance, friendly training, and a range of associated website management services including domain name registration and web hosting. 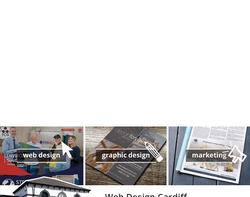 Carrick Creative in Cardiff offer branding, graphic design, web design, marketing, printing and photography services. Award-winning, integrated creative graphic design and print combined under one roof to offer what we call 'The Carrick Difference'. 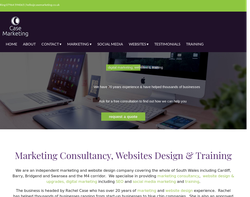 Karolo Design utilise the latest web technologies to create beautiful websites that work, ensuring your brand is communicated proficiently across web, marketing & corporate literature. 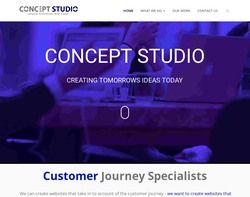 Professional marketing and website design company with over 20 yrs experience. 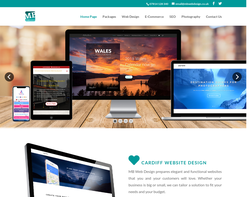 We have designed hundreds of websites for clients across South Wales ranging from simple starter websites to advanced online shops and business directories. Looking to increase exposure to your business? Looking to create a world-class website without hassle? Looking to deal with an established company? Look no further than LaunchLocal. 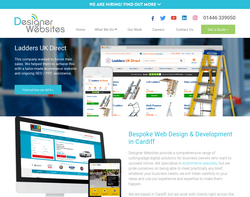 Fully qualified, passionate Cardiff web designers who offer a service like no other. LaunchLocal is an SEO and internet marketing company that focuses on getting local business results through online resources. 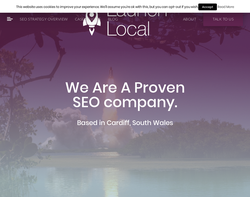 Also, as a Cardiff web design company, LaunchLocal use their vast mound of expertise to enhance your online webpages. Your website is the interface of your whole business. Investing in web design means you are giving yourself the best possible start in the online business world. As most of us know, perfecting your web design is not an easy task. We live in a world where people spend most of the day online with 77% of men and 75% of woman shopping online. Maximising your full business potential now means diving into the world of online retailing and services. Your web design is the essential first step to attracting and maintaining customers. Consumers will make decisions based on what they see, they value their online experience. 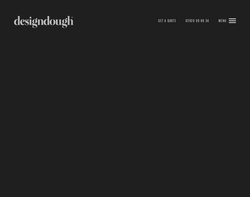 There is no time for a mediocre website. Of course investing in a website is a necessity but the design elements are so much more important. You want your website to capture your audience and target their attention in relation to your specific product or service. Gaining interest is top priority and to achieve maximum online success it is important to maximise SEO. There are over 1 billion websites live in the world today, there is no time for poorly designed, lack luster websites. It is inherent to build a website that is designed to suit your clients and apply our knowledge of SEO to make that a reality.